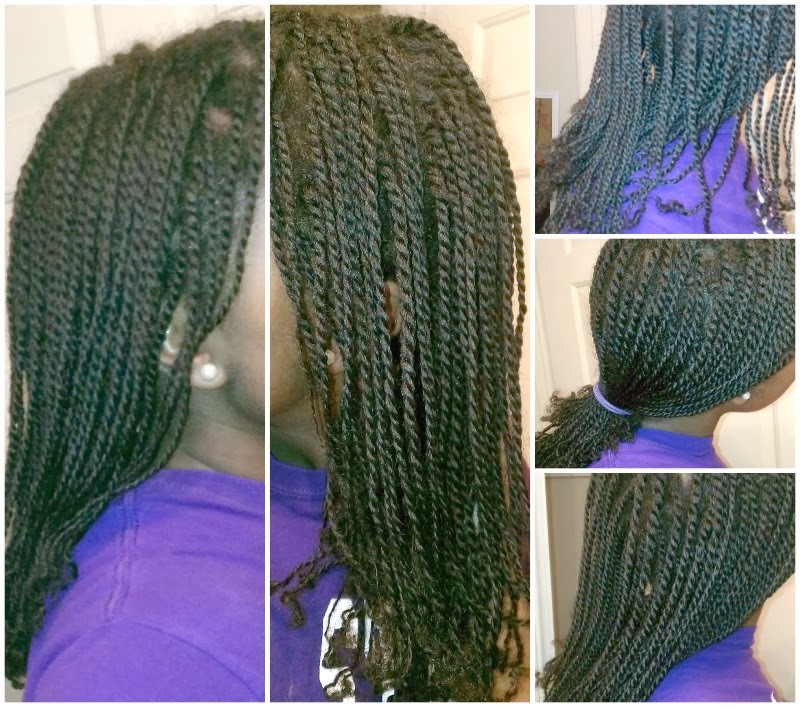 As promised, I have installed a new set of mini twists. The entire process from wash to my last twist was about six hours, which was record time for me. To wash my hair I used L.A.C.E's Rhassoul and Bentonite clay shampoo bar. To deep condition I used Chi Shine Intense Silk Hair Masque. This product isn't owned by me, I borrowed it from a friend. Blow drying my hair also took up an hour and a half of the process. 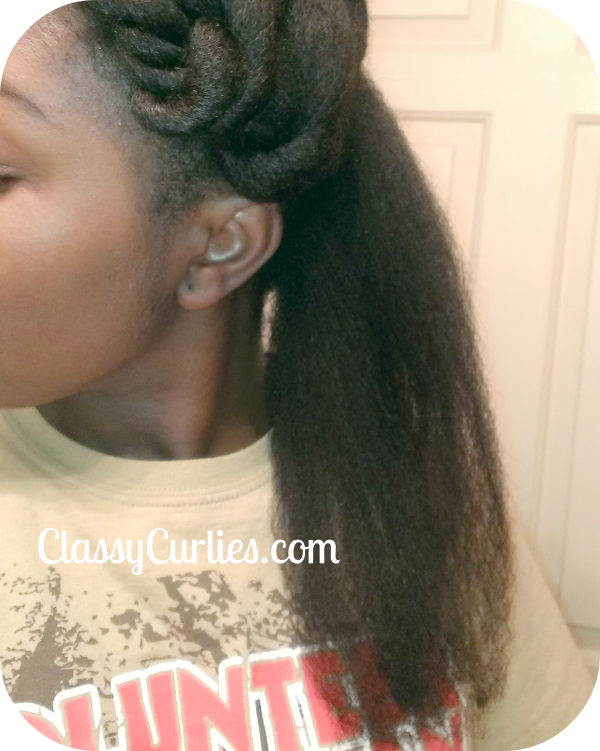 After washing my hair in my normal two sections, I broke each section down into four sections to blow dry. Using medium heat on high I used the tension method to get the job done. I began twisting using the same sections I blow dried in. I used Wonder Curl's Butter Than Love to create my twists. I plan on keeping them in at least until the second or third week of April, but we'll see. My next big hair style will be getting my hair flat ironed for the first time in 4 years. I have to show off for my graduation! S/N: Don't forget to enter my latest giveaway to win hair and body sample and more! Click here.